I thought I’d provide you with a couple measurements in case you’re interested in making a quilt similar to my bespoke quilt. 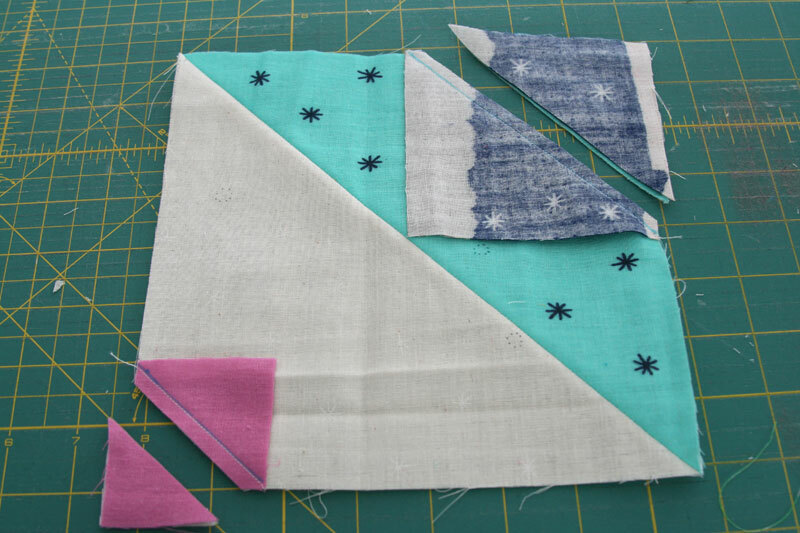 This one is nice and easy – it’s really just a few squares sewn together to create some triangles. 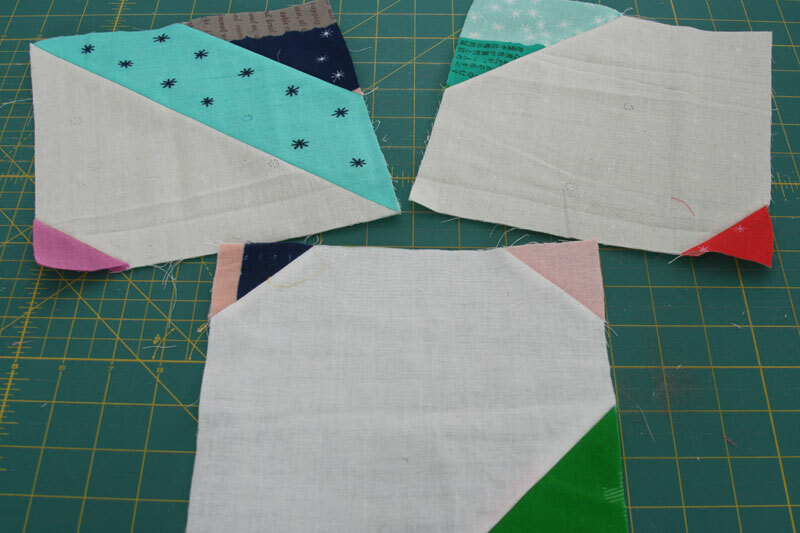 I love how there’s no precise pattern – just a few measurements which will have you on your way to making these easy blocks – and I love how each quilt will look unique depending on your fabric placement within each block and the block layout. The blocks in my quilt are 8″ (unfinished), but really they could be any size you desire! For the 8″ block size, you’ll use a mix of 8 1/2″, 8″, 4″, and 2″ squares. As I mentioned, my quilt uses the prints and solids from the Cotton + Steel Bespoke line (along with a few additional double gauze solids). I separated the prints and colored solids from the background fabrics – for background I used a gray solid, white solid, and the white on white Bespoke print. The majority of the blocks (2/3s) are large half square triangles. Cut 8 1/2″ squares of the printed and colored solids and a matching number of 8 1/2″ squares of the background fabrics. Mark a line through the diagonal of one printed square and pair with a background square. Sew, right sides together, on either side of the marked line. Cut along the diagonal, iron seams and trim to 8″ square. Repeat. 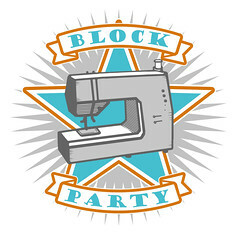 From here you can leave your block as is, or you might add an extra large or small triangle on either side of the hst. Take one of your 2″ or 4″ squares and mark the diagonal line with a washable marker. 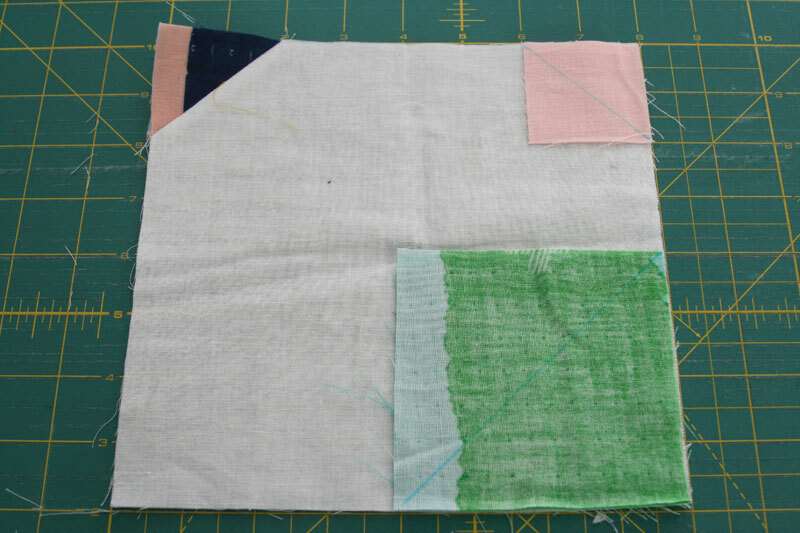 Place the square in one corner of your block (either on the background triangle or on the printed/colored triangle) and sew along the marked line. 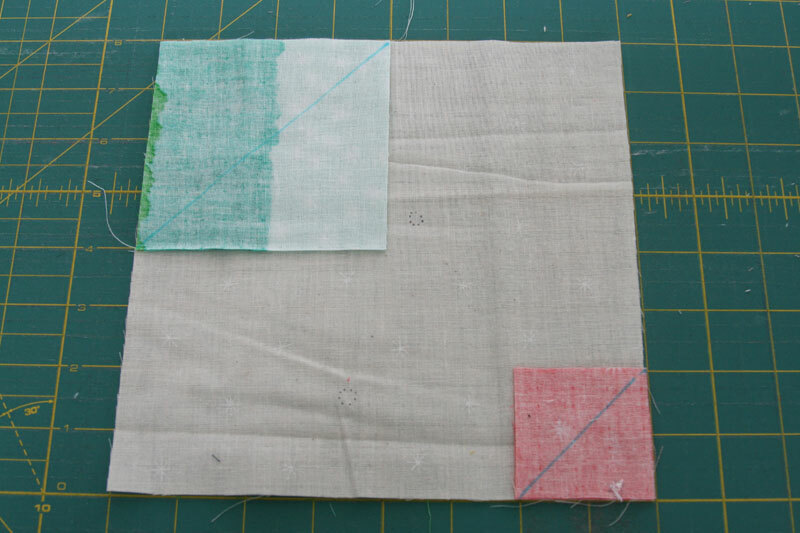 Cut 1/4″ from your sewn line and flip the fabric outwards to complete the square. Note: I saved the trimmings from those 4″ squares and sewed them together into smaller hsts which I used for the backing. I kept some blocks as just the half square triangle, and added a mix of 2″ and/or 4″ squares to the remaining blocks. 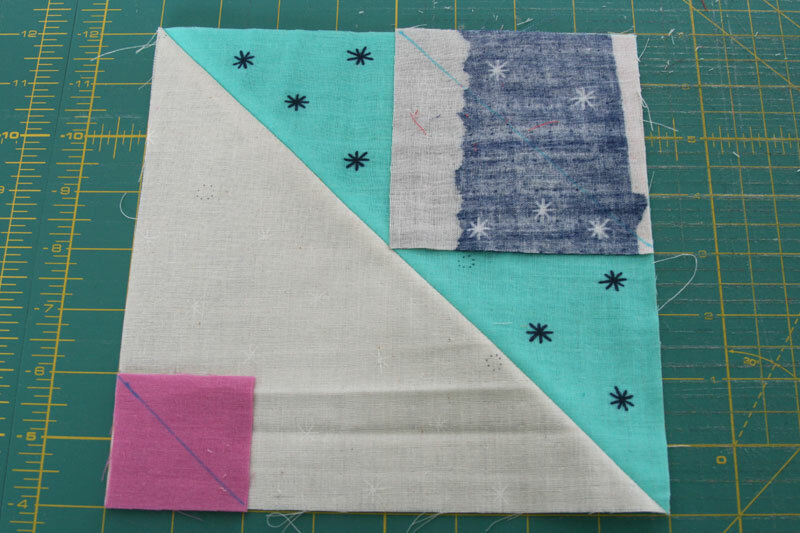 For the remaining blocks (approximately 1/3), cut your background fabrics to 8″ square. 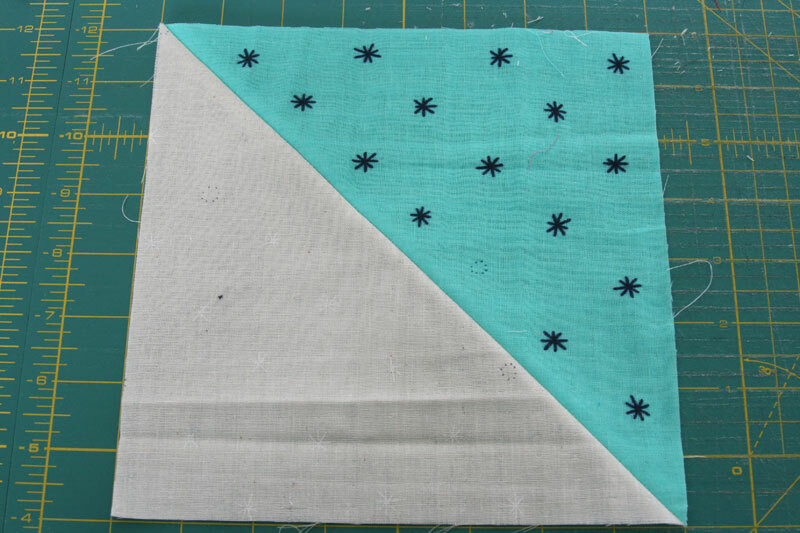 Add 2 or 4″ squares to any/all of the corners and sew following the same method described above. Lay out your blocks and adjust placement to your liking (or keep it totally random, as I did this time around) and sew together into a fun quilt top. 8 block by 9 block layout for a large throw size of approximately 60″ x 68″. This entry was posted in Fabric, Tutorials and tagged bespoke, cotton + steel, double gauze, half square triangle, handmade, quilt top, tutorial. Bookmark the permalink. 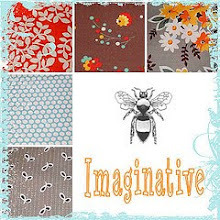 Very nice use of odds and ends fabric and your imagination! It’s quite lovely. Love it!!!! Thanks for sharing the pattern. This is at the top of my “to make next” list. I was wondering if you used a regular gray cotton solid for the background along with a white cotton and combined them with a bespoke white for the background? I couldn’t find a medium/dark gray in the double gauze similar to the one in your quilt. I only found a natural double gauze and don’t think that is the same color as the darkest gray in your beautiful quilt. 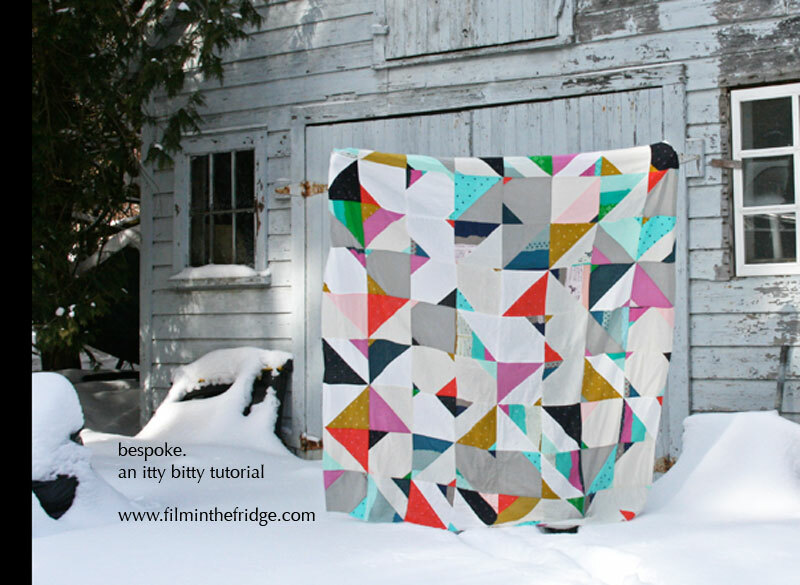 I love this quilt and want to make it, but was wondering about the additional white and grey double gauze solids that you said you used. The only double gauze solid that I’ve been able to find is in natural. I can’t find the grey, white or the bespoke white on white. Did you possibly use a regular cotton solid in grey and white, instead of the bespoke double gauze? And could the white on white be the natural spark double gauze — the light grey double gauze with the little white stars on it? Sorry to leave so many posts, but I read your previous post about your quilt where you said you added a couple of Japanese double gauze solids to the Cotton and Steel bespoke double gauze to make the quilt. Can you please tell me where you got the Japanese double gauze? Thanks for the tutorial – I’m not a real quilter – have made only a few… I love that this is so free-form! And I am smitten with the idea of a double-gauze quilt… pure luxury! Now I am SO tempted to buy some of this fabric!!! Great tutorial! Perfect quilt for using scraps in various sizes. Thanks for sharing! And as usual, great photography! Your quilt is sooo beautiful! Thanks so much for the tutorial! Do you know what fabric you will bind and back the quilt with? Really like the fabric. Maybe i could splurge for the back to be double gauze also. Like the idea of tying the quilt. I think its beautiful. Lovely pictures also.